HELP ME GET OUT OF JAIL!!! I’m being arrested on Tuesday morning, along with the Chief Constable of Sussex, Martin Richards and the Sussex Police and Crime Commissioner, Katy Bourne. 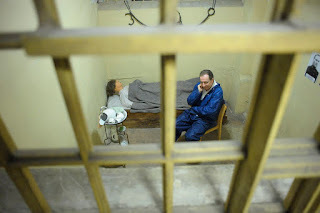 We are going to be held in the cells of Sussex’s Old Police Cells Museum, with only bread and water to eat and drink, until our bail money is raised. The others who will also be arrested alongside us, are the High Sherriffs of both East and West Sussex, Brighton’s Deputy Mayor, the Borough Commander of the East Sussex Fire Brigade, and a number of other luminaries – you can see the press release below. But don’t worry about all the rest, GET ME OUT, PLEASE!!! 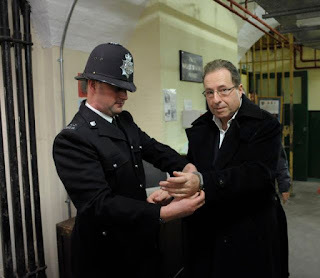 I need to get on with my next Roy Grace novel – and no laptops allowed in my cell. It is all good natured and the cause of supporting Sussex Crimestoppers, of which I am co-patron with Dame Vera Lynn, and the wonderful Old Police Cells Museum in Brighton, of which I am vice-president. Top Sussex folk to get jailed for charity – but they need your help to #getbailed! Some of Sussex’s best loved luminaries are to be incarcerated in the name of charity – and they need your help if they are to be released. High Sheriffs of East and West Sussex both current and past, a former naval officer and magistrate in Brighton and president of the local St John Ambulance are among those participating in a charity event next week to support Sussex Crimestoppers and Sussex’s Old Police Cells Museum, based in Brighton. Kathy Gore DL of Framfield: chair of The Friends of Sussex Hospices and Trustee of Sussex Community Foundation. Quenelda Avery of Ticehurst: President of St John Ambulance (Sussex) and former president of the British Red Cross (Sussex). 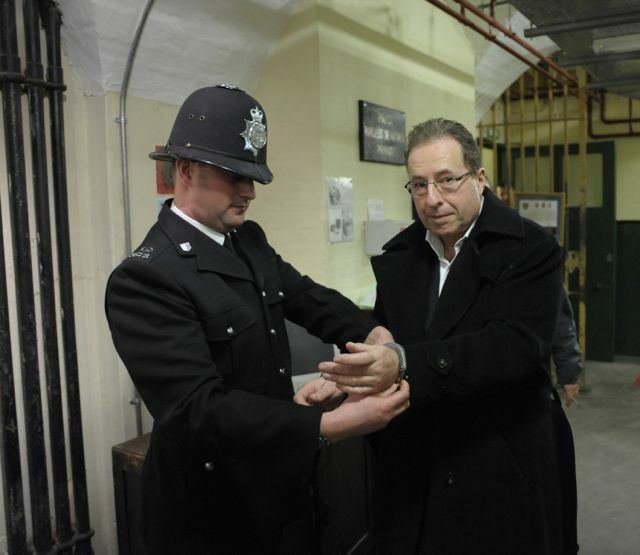 They will all find themselves behind bars in the bowels of the Museum at Brighton Town Hall on Tuesday March 19 and will be joined by Sussex Chief Constable Martin Richards, Police and Crime Commissioner Katy Bourne, East Sussex Fire and Rescue Service’s Borough Commander for Brighton Mark Matthews and award winning crime novelist Dr Peter James. Brighton’s Deputy Mayor Cllr Anne Meadows completes the line-up of charitable internees. They will all be raising money for the Museum and Sussex Crimestoppers, the only charity that is dedicated to helping the police by providing a gateway for the public to provide anonymous information about crime. People across Sussex are being asked to donate whatever they can spare and for every £500 raised, a single internee will be bailed with their liberty restored. Martin Richards and Peter James will be the first in – and the last out! Whilst incarcerated, the jailbirds will receive only bread and water whilst in the cells in the bowels of Brighton Town Hall. Or send a cheque made payable to The Old Police Cells Museum to The Old Police Police Cells Museum, Brighton Town Hall, Bartholomews Square, Brighton, East Sussex, BN1 1JA. Since Crimestoppers began in 1988 and has received over a million actionable calls, resulting in over 120,000 arrests and charges. Over £125 million worth of goods has been recovered and over £293 million worth of drugs has been seized. Here in Sussex, the number of actionable calls has risen to more than 2,000 per year and relate to many different crime types including murder, drug dealing and cultivation, drink driving, domestic violence, sexual offences, burglary, arson and terrorism related offences. Whatever the crime type, Sussex Crimestoppers receives anonymous calls from the public who appreciate that the charity can make a difference. 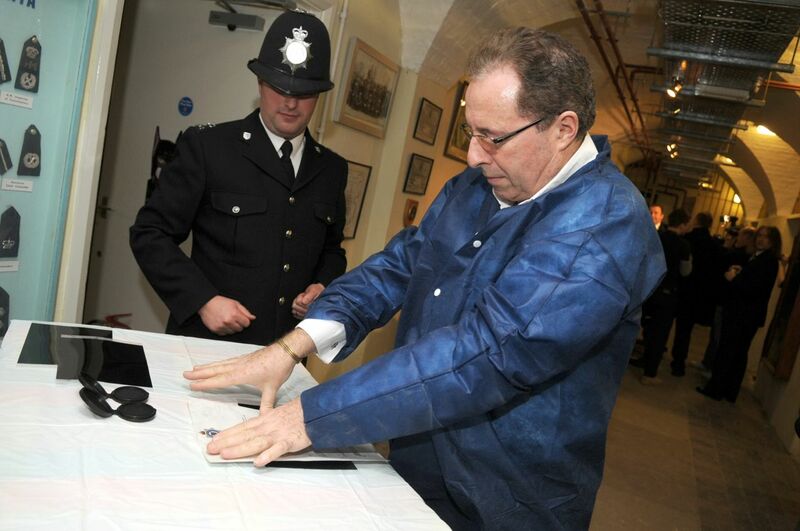 The Old Police Cells Museum was the brainchild of late Brighton councillor John Drake. His wife, Pat, adopted it as her mayoral project and was opened in May 2005 in the bowels of Brighton Town Hall. It offers visitors a unique insight into the history of policing in Sussex and is both educational and entertaining. It provides an opportunity to visit Brighton Borough main police station for the period 1830 to 1967 and learn about the murder of Chief Constable Henry Solomon in 1844 by a prisoner. See some of the old cells with their graffiti from the Mods and Rockers era, the policeman’s wash room and uniform store areas, police memorabilia and artefacts.